I'm looking for information re: the primary source for Herodotus' Histories. The two primary sources on the Wikipedia page for Herodotus Histories both trace back to Godley’s translation. Godley's translation is based on Stein's translation. Stein's translation is in German, which I don't read. It may contain a reference to a primary source, but I wouldn't know. Any ideas? For a critical discussion on how modern versions of Herodotus' Histories have been compiled from the surviving manuscript sources, you could do a lot worse worse than the 1983 essay On Editing Herodotus by R. A. McNeal. This includes a useful overview of the merits of the various surviving copies and partial copies of the text. Essentially, the problem is that no totally complete manuscript of Herodotus' Histories survives. Furthermore, none of the early manuscripts that do survive completely agree on the text (mainly due to scribal copying errors and selective editing in medieval scriptoria). The earliest surviving copy, "called 'Codex A", is owned by the Biblioteca Medicea Laurenziana in Florence and forms the basis for all modern translations. 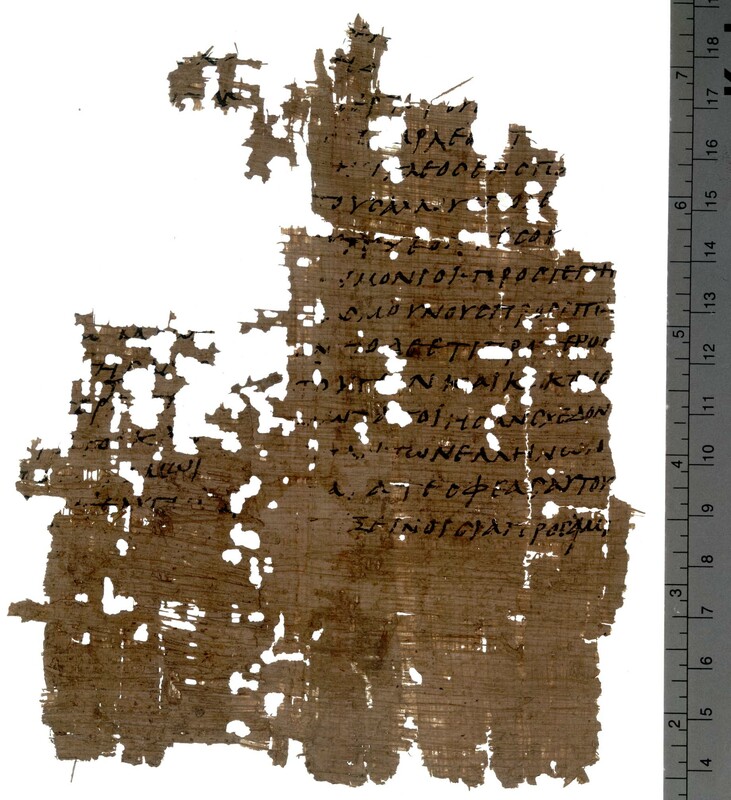 In addition to the manuscripts, we have a number of much earlier fragments of the texts written on Papyrus. 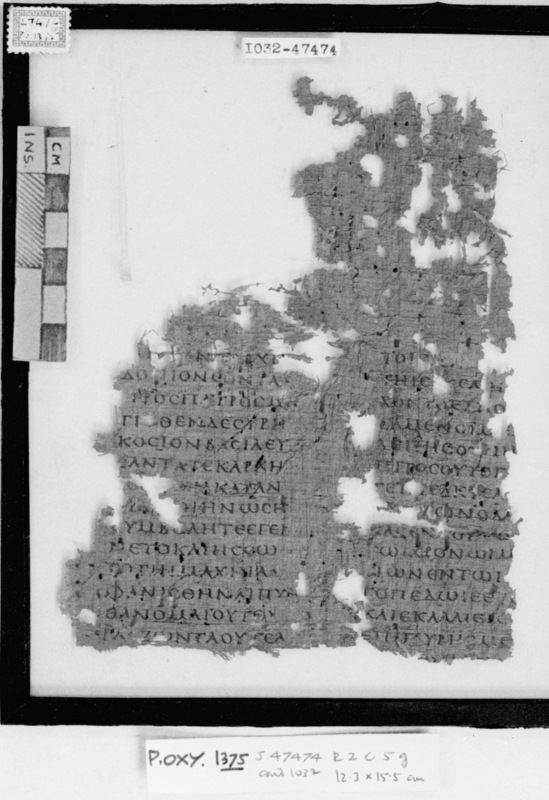 None of the papyrus fragments contain the full text. Most contain just fragments of single pages. 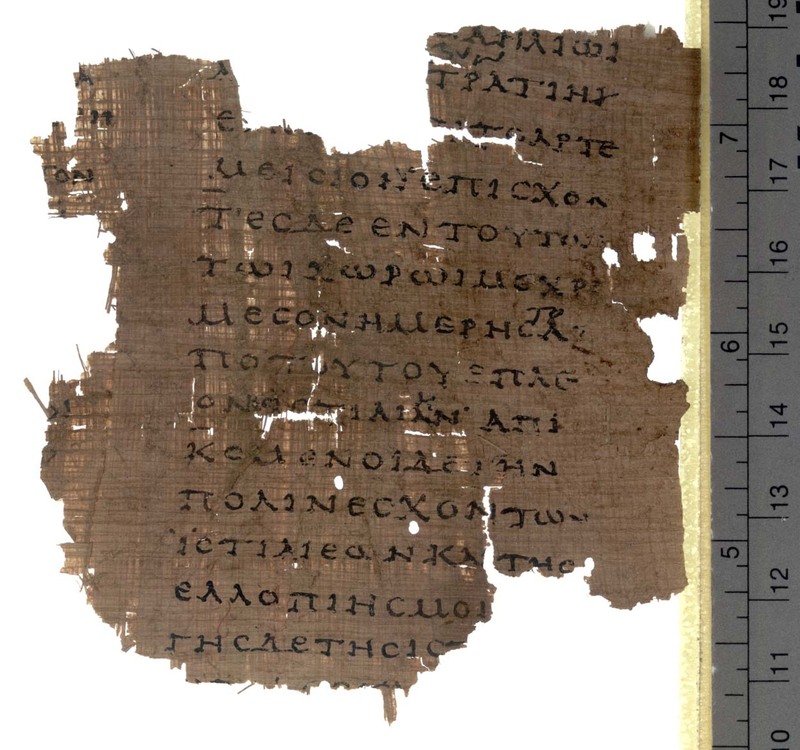 Most are part of the collection of fragments known as the Oxyrhynchus Papyri, for which a searchable database is now available online. The images above illustrate just how little of the material is actually found on many of these fragments! Thanks to @kimchilover for finding the image of P.Oxy 2099. Works published from the Greeks. Manutius printed thirty editiones principes of Greek texts, allowing these texts to escape the fragility of the manuscript tradition. But of course as many commentators here have pointed out, these printed editions appeared about 2,000 years after Herodotus lived. Nothing like a "primary source" (whatever you mean by that) survives.